1. How to start a blog.......? 2. How to make the blog more attractive......? 3. What is blog traffic......? 4. Do you want to add related post gadget.....? 5. What is the importance of the Feed......? How to do add a template....? 1. First of all you should have an idea of what you are going to write on the blog unless your time and work will be useless. Therefore if your are a beginner first decide your topic. It may be on blogging, computer tricks, nature, health tips whatever. Only thing you want to know is what is you are going to do. 3. Then you have to go to dashboard and then template. 4. Select the restore/backup button in the right corner. 5. Then you have to upload the template after having saved the earlier full template. 6. Close and see the new look of your blog template. Normally as a routine we have to edit the html and the CSS of the blog template after introducing on to your blog. However if your not well trained person no need to try it and having suitable template is enough. Thanks you all for join me. 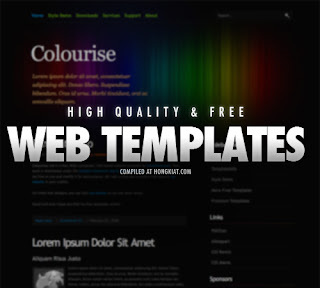 If you have any problem about the blog templates refer me. Good to know how this is done. Not brave enough to try it myself though. I only got up enough courage to tweak the ready-made templates. So far that works for me!